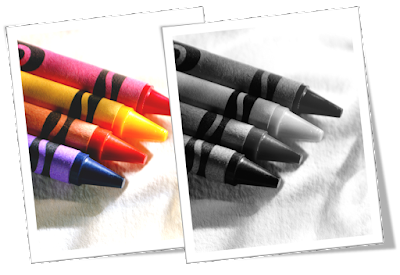 'All About Presentations' by Jazz Factory: Are you ready for a colour problem? Are you ready for a colour problem? I attended a presentation two days back wherein an advertising agency was presenting some designs to its clients. Design which needed to be approved by the client. The major elements which were under scrutiny from their client were the shape and the colour scheme. The presenter could see that the design was not coming out as well on the screen. The projector was good but was not able to bring out the colours so well. For any normal business presentation it would have been fine. But this was a 'design presentation'. What should the presenter do in such a case? Will you let a projector ruin your hard work? 1. Carry hard copies - A good quality print will do a better job than a poor projection on the screen. Please note that it was not this particular projector's problem. I have seen innumerable number of presentations and almost all the time the colours on the screen are no where near how they look on the laptop. So the next time your design skills are on display, carry good quality hard copies with you. You might be presenting website designs or a soap packaging, bear this tip in mind. 2. Carry another laptop - The agency could very well have shown the client the designs on a laptop. They could have carried a spare laptop and put it right in front of the client. Remember that the objective is to present the designs as they look in reality (on the monitor) and not how they appear on the projected screen. Why let technology ruin your business? How would you deal with this problem? Can you think of more ways to solve this problem?